Hayden Paddon is set to smash the Ashley Forest Rallysprint record tomorrow after dominating a shortened first day of the event in New Zealand’s South Island. Driving his Hyundai i20 AP4++ car, Paddon set a time of 55.24 seconds over the course, well clear of his nearest rival. Only two of the planned four runs were held due to a number of delays, meaning Paddon may have up to seven runs tomorrow – the final two scheduled runs, before the field is reduced to 32, 16, 8, 4, then 2. Alister McRae struggled early in the ex-Possum Bourne Impreza World Rally Car with only two-wheel drive, but recovered on run two to set a time just three seconds behind Paddon. 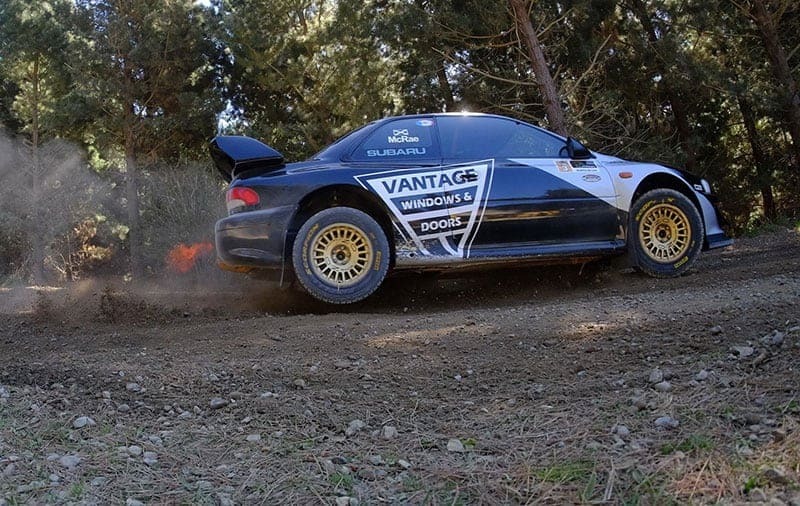 Current record holder and 2017 winner, Sloan Cox, had engine problems in his Mitsubishi Lancer Hillclimb Special, reportedly dropping a cylinder. The action continues on Sunday, September 23, and can be watched live via the Ashley Forest Rallysprint Facebook page.